School fees etranzact print out. 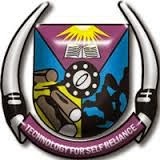 - create a student account on FUTA site. - fill the necessary online. - scan and upload your documents. -print your final registration print out. - pay your school fees via etranzact. - take your registration print out to your department for stamps and signing. If you are interested in the School hostel, after you have paid your school fee, you will be able to apply for it and it will be given to you.